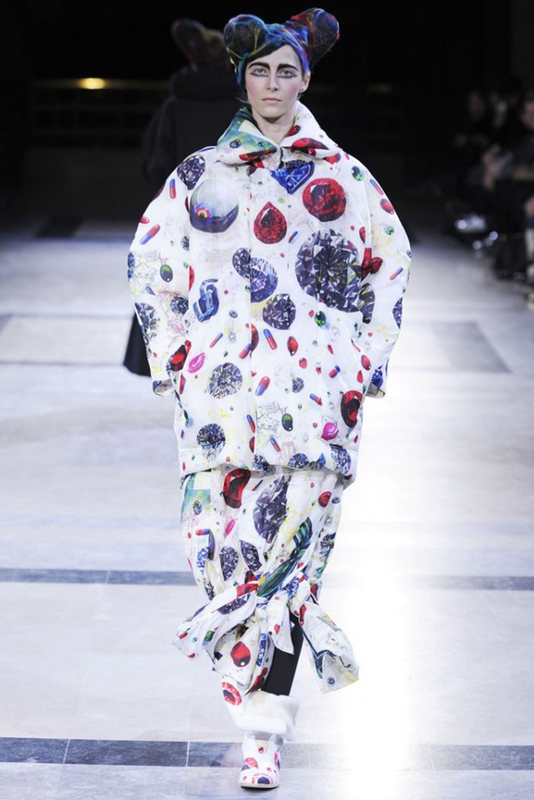 The Fashion designer Yohji Yamamoto has collaborated with the Japanese artist Yasuto Sasada for his womens collection fall 2014. 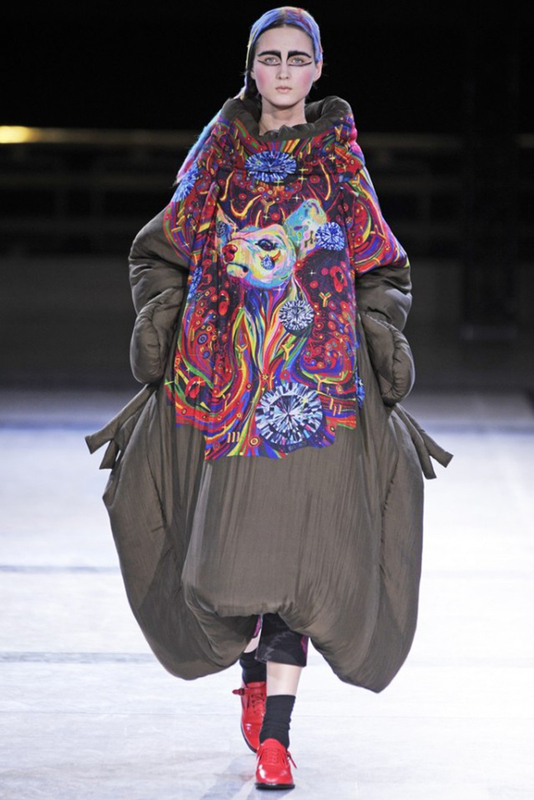 The designers elevated that most banal staple of cold-weather sportif to conceptual fashion with his fall collection, using it to convey two very different, visually arresting moods. He began with plain black in extreme volumes, cutting grand, robelike silhouettes out of what was basically a down comforter. The shapes were beautiful and strange – some were padded to give the illusion of a pregnant belly – evoking the bleak softness that has defined some of Yamamoto’s best collections. 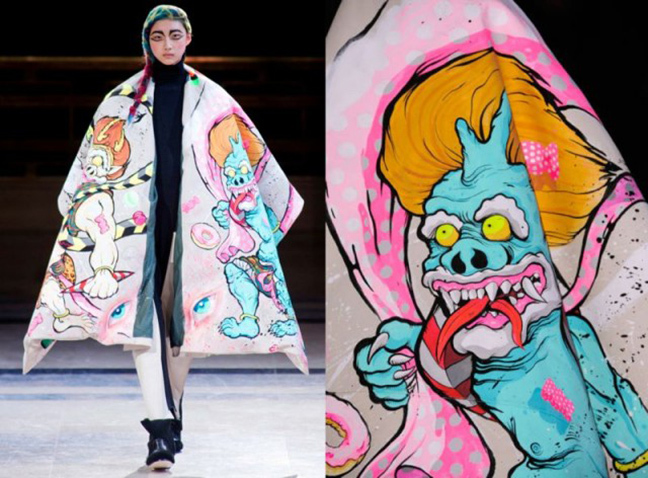 Then the exaggerated black coats became startling canvases for bold illustrations by artist Yasuto Sasada, who also collaborated on Yamamoto’s most recent men’s collection. The wild collisions of imagery included painted faces, koi, angry bears with voluptuous lips and tongues, splatter paint and jewels. 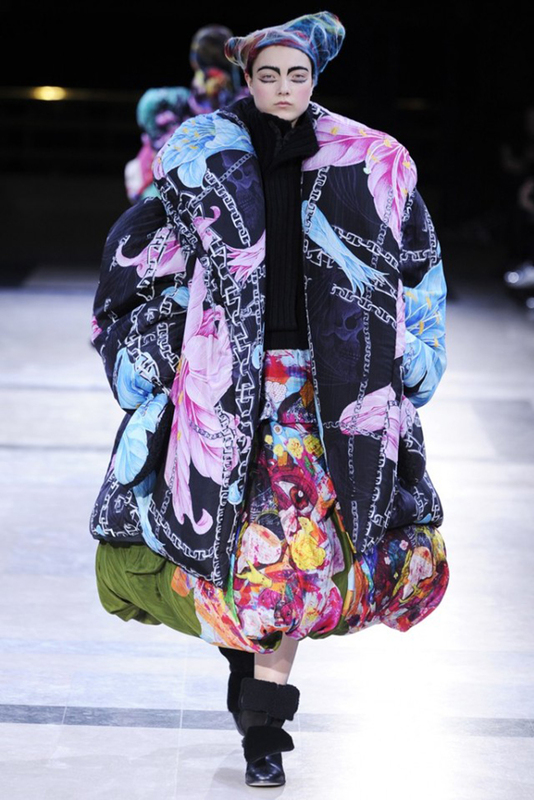 They summoned the psychedelic, manga, graffiti and, in the case of giant florals linked by chains, vintage Versace. 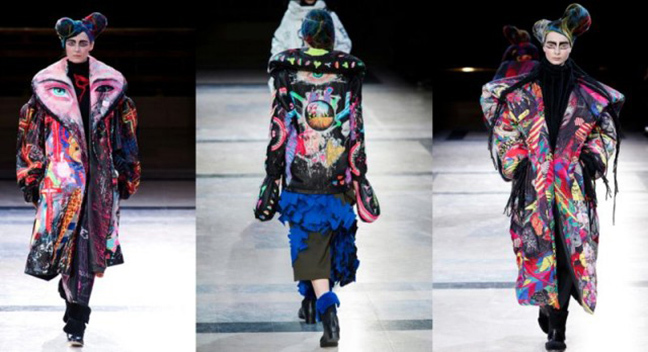 Some were prints, others were hand-painted on thick leather jackets and skirts and noble robes that evoked the spirit of street royalty.